Israel’s agriculture industry is one of the best in the world. By successfully integrating science and technology into their agricultural process, the country transformed its barren deserts into an agricultural oasis. The Philippines, rich in natural resources and with a total land area that is much larger than Israel’s, can learn a lot from the “Startup Nation” when it comes to agriculture. 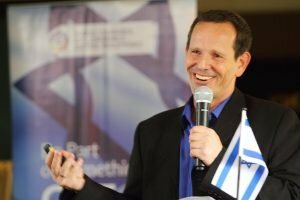 During the recent Agri Innovation Forum hosted by the Israel Chamber of Commerce of the Philippines (ICCP) at the Dusit Thani Makati, Menashe Tamir, General Manager of agriculture company Eshet Eilon, talked about the challenges in agriculture. These include post-harvest losses, maintenance of fruit quality and appearance, and ecological damage. Eshet Eilon is one of the world’s leading suppliers of agricultural machinery. Tamir discussed how his company benefited from full automation and their efficient use of human resources to minimize losses and maximize the quality of produce. Some of the technologies they use are the optical systems for external quality sorting, innovative sanitation systems, and high-quality stainless steel machinery for reducing food wastage. Ronen Mor, Director for Business Development at TAHAL Group’s Asia Division and also a guest speaker in the forum, discussed a more holistic approach to agricultural development. His strategy combines all aspects of planning for social, economic and environmental considerations by consolidating farmer organizations. He told forum attendees that he believes “size does matter” when it comes to agriculture development. 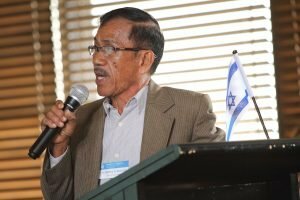 Dr. Quirino D. Dela Cruz, President of the Shalom Club (Nueva Ecija Chapter) and representative of the Philippine Israel Center for Agricultural Training (PICAT), cited the challenges they faced in Nueva Ecija. Among the agricultural problems of the province are the limited access to credit and insurance, the high cost of production inputs, low farm mechanization, insufficient post-harvest facilities, and inadequate irrigation. Through Israel’s MASHAV program and PICAT, Filipinos are learning how to come up with solutions to these and other agricultural problems. Dr. Dela Cruz confirmed that over 100 professionals and farmers had attended agricultural courses organized by MASHAV through CINADCO. They spent time in Israel to learn directly from Israel’s agriculture experts, visit farms, and tour cultural sites. Over the years, Israel has extended its help to the Philippines especially with the agricultural sector. In 2016 alone, 524 Filipino students from various universities and colleges graduated from an agricultural program in Israel. 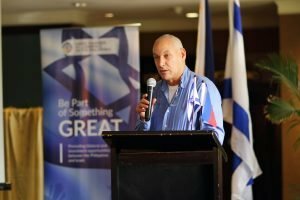 Israel and the Philippines will continue to expand the agri program to promising Filipino students to enable them to learn the advanced agricultural methods and technologies of Israel.